Hampton Roads Publishing, 9781571747747, 304pp. 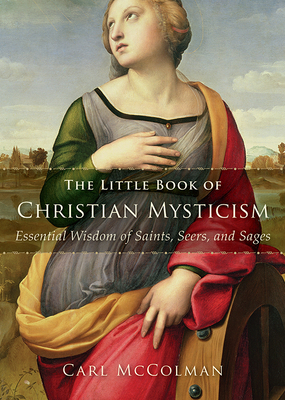 The Little Book of Christian Mysticism provides a user-friendly, insightful, and potentially life-changing introduction to the essential teachings of the greatest mystics in the western wisdom traditions, past and present, including Francis of Assisi, Hildegard of Bingen, Thomas Merton, Evelyn Underhill, Meister Eckhart, Teresa of Avila, John of the Cross, and Julian of Norwich. Readers can use this book to initiate themselves into this visionary and ecstatic spiritual lineage, and they can also use it as a book of daily meditations. Small enough to fit in one's pocket or handbag, this is truly a user-friendly introduction to this venerable body of wisdom.